One of these days a West Virginia trip is in order and some of my favorite memories are from Camden Park. Originally opened in 1903, it still apparently has its original wooden coasters from the end of the 50’s. Check out the awesome train cars on the Big Dipper (1958). From the skyliner you can probably see what a dump the place is now compared to its heyday, but you can still ride the old chain pulled Haunted House. 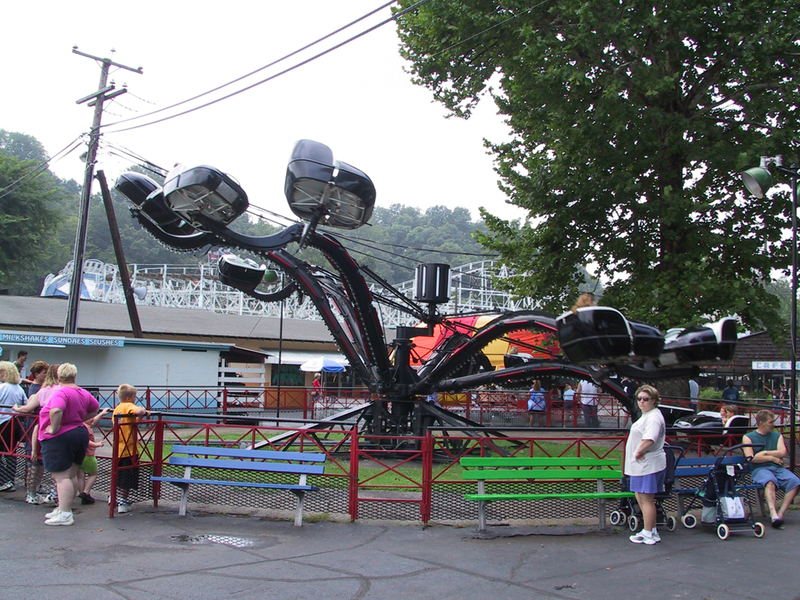 I loved riding the Spider all lit up at night. Nice overview pics.